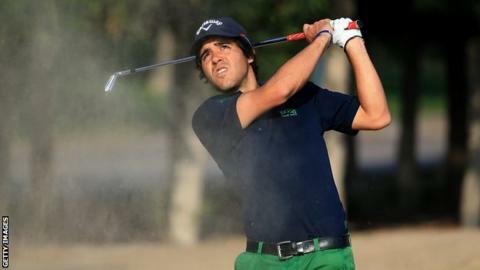 Javier Ballesteros, the son of five-time major champion Seve, has turned professional. Spaniard Seve died of brain cancer in 2011 at the age of 54, and Javier said: "Today my dad comes to my mind. "He taught me everything or almost everything I know about golf, and I would have loved him to see me turning pro. I am sure he would be very proud." Javier, 23, intends to begin his career by enrolling at the Alps Tour qualifying school. He competed at the British Amateur Championship this year but failed to qualify for the matchplay stage after a poor opening round. Javier added: "This is something I have always wanted. Whether I will succeed or not, time will tell." Seve is remembered as one of golf's most flamboyant and charismatic players. He won 87 titles in his career, including the Open in 1979, 1984 and 1988 and the Masters in 1980 and 1983, and played in eight Ryder Cups.